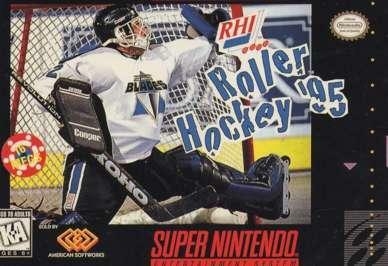 This is a prototype of the unreleased game, RHI Roller Hockey '95. 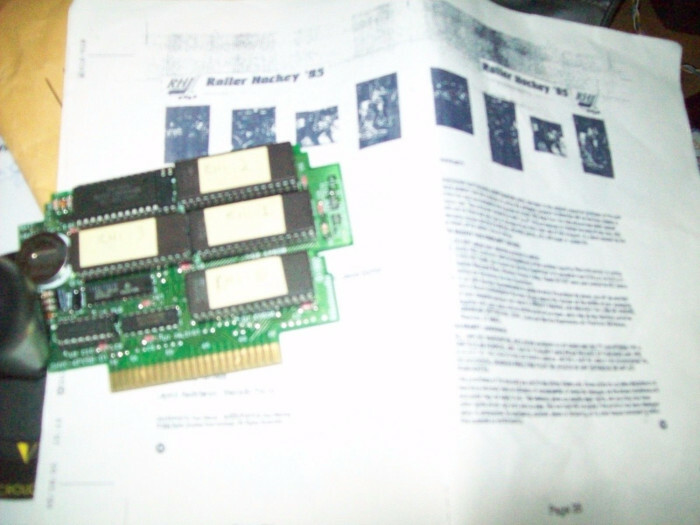 Thanks to to DreamTR for sending me pictures of the prototype, and Retromags for the magazine scans. 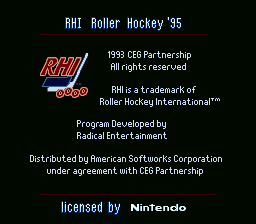 RHI Roller Hockey '95 was planned to coincide with the roller blading fad that existed in the mid-1990s. It was so big that there was a professional roller blading league. 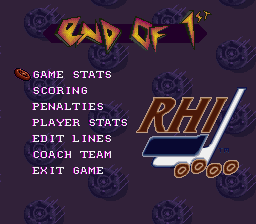 American Softworks, who were known to take existing games and repackaging them for different markets (see Super Copa and Chavez), took the Brett Hull Hockey engine and changed it to include the RHI license. 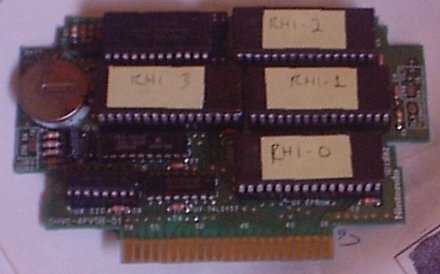 I recall in early efforts to do ROM auditing, some people though this was just a hack. 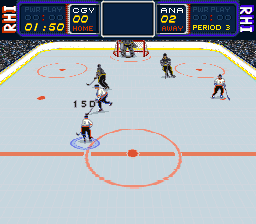 As for the gameplay, if you have played Brett Hull Hockey or Brett Hull Hockey 95, the gameplay is essentially identical. 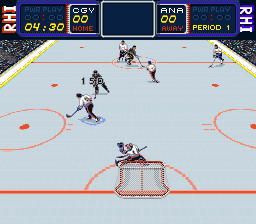 There appears to be some rule changes in roller hockey, notably that the blue lines do not exist. 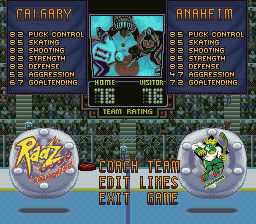 The teams and players appear to be real, this is a fully licensed game. Due to the fact that we do not have the original scene files, it is not possible to know if the version of the game that is floating around is hacked from the original release. Give the frequency that scene releases were hacked, it is a high probability that the prototype that is out there is not clean. 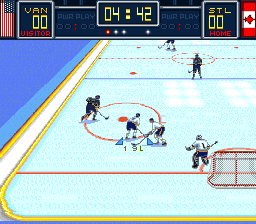 DreamTR owned a prototype of this game, which included a photocopy of the manual. He sold this on ebay in 2015, and it is unknown who the current owner is. Nintendo Power did a review of the game in the July 1995 issue. 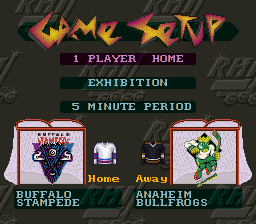 They didn't pussyfoot around the fact that this game is essentially the same as Brett Hull Hockey 95.